Taoiseach Leo Varadkar made a bold declaration at the Fine Gael Ard Fheis last weekend, in what has been correctly interpreted will be central plank in his party's manifesto ahead of the next general election: over the next five budgets, Fine Gael has committed to increase the point at which people pay the top rate of tax to €50,000 for a single person or €100,000 for a two-income couple. At the moment, the top rate of tax is applied at just over €35,000. So the cost of this promise has been estimated to be almost €3bn. 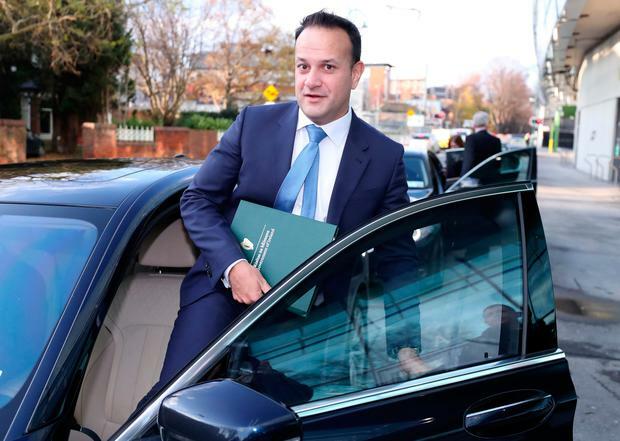 Mr Varadkar has vowed to introduce the tax cuts in a way that's "sustainable and affordable". There should, of course, be no other way to introduce such a measure but in a prudent manner. It has been plausibly argued that taxpayers in Ireland pay the top rate on far too low an income level. The Taoiseach has addressed his tax cut proposal as a means to end this "unfairness" and allow people keep more of the money they earn. In general, we concur with this sentiment and have long advocated tax cuts, but only in a 'sustainable and affordable' manner at a time when such cuts can be afforded. It has since been pointed out by the Opposition that in the lead-up to the last election, Fine Gael promised to not only cut the Universal Social Charge, but to remove it altogether. This promise would have cost €4bn a year, but was dropped when Fine Gael entered government under a confidence and supply deal supported by Fianna Fail, which has advocated targeted increased spending over tax cuts. At a time when Ireland is facing immense uncertainty with Brexit, and when searching questions are being asked in relation to the sustainability of the country's economic model, which is overly-dependent on corporation tax receipts, Mr Varadkar's promise, while popular, is still risky, but will no doubt be contingent on whether resources allow. Last week, various expert bodies published generally optimistic analyses of Ireland's economy going forward. The Organisation for Economic Cooperation and Development said that the economy will continue to enjoy robust growth over the next two years. However, the threats and risks to the economy were up front and central in those analyses. The OECD predicted the pace of economic growth here would ease as the economy reaches full capacity and external threats, particularly Brexit, weigh. A no-deal Brexit would represent the worst outcome for Ireland. According to the ESRI and the Department of Finance, it could lead to a 3.5pc reduction in economic output, a €20bn increase in the national debt, a 33pc reduction in exports to the UK and potentially 40,000 job losses. That said, the prospect of a no-deal Brexit, while on the cards, has receded somewhat in recent weeks. The question remains, however: How does Fine Gael propose to pay for its commitment to cut all taxes given this level of uncertainty? Further to this, there are other serious issues facing the country: 10,000 people in homeless emergency accommodation including 4,000 children; tens of thousands of young people with decent jobs frozen out of the housing market; thousands waiting on hospital trolleys and over a million on hospital waiting lists. Another 4,000 children are overdue an assessment of need under the Disability Act. Indeed, there are resource issues in health, education and much-needed investment in public transport. Further to this, the ESRI said last week that families could face €3,000 energy bills if Ireland does not tackle climate change. In the round, Mr Varadkar's tax promise is to be welcomed, but will be more welcomed by people, many of whom are not feeling the recovery, if and when the pledge is honoured. Meanwhile, the country is facing many other issues with which the Government should also contend.